It’s just a couple of days until I hit the ground on St Croix! This is an incredibly exciting time, after several months of plotting, planning, and (most of all) waiting. In between expelling the last unwanted items from my Baltimore apartment, I’ve been drawing out more detailed plans for the house, and continuing research on a variety of things. Some great ideas have come from the various wonderful friends who have been wishing me well over the past weeks while also hearing the details of my project, often for the first time. So frequently a fresh mind and different perspective is valuable in seeing the wood in the trees, as it were. I’m now the proud owner of one cotton-seed, and expect (come spring time) cuttings of mint to arrive in the mail…who doesn’t need an unlimited number of mojitos? The list of things to grow is getting ever longer, and I’m still entertaining the idea of a couple of ducks for eggs…any words of wisdom out there in regards to keeping ducks? No water, so they would have to be of a Muscovy variety. I can’t wait for fresh salad greens, arugula, basil, and fresh fruit, after several months of winter fare up here! 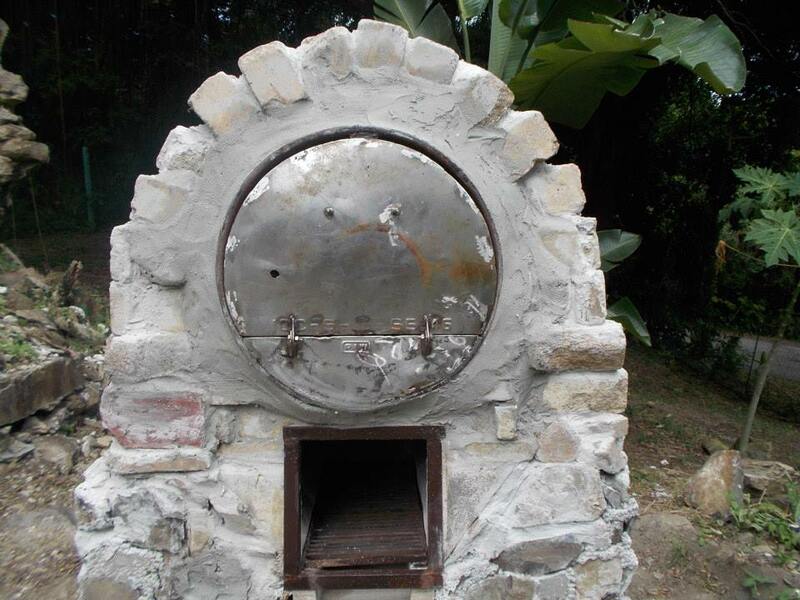 Mandy’s bread oven! Photo courtesy of Mandy Thody, 2014. It was confirmed, by a number of people at my farewell party, that both my Rye Sourdough bread and my soft farmer’s cheese are incredible and of marketable quality, so St Croix people, better start getting your orders in! The outdoor wood-fired bread oven that Mandy (my mother) has been building on the property is just about ready for its test run, so soon I should be producing completely authentic artisan sourdough. It’s going to be amazing, if I say so myself! My next post will be written from St Croix, where I shall be busily basking in some 75-85 degrees, figuring out the finer points of using a chainsaw, and marking out my tiny house foundation on real, solid ground!